Alisa Fleming ~ “Where do I start?” is easily one of the most frequently asked questions that I receive via email and Facebook, so I thought it was about time that I dedicate a post to the topic. First, Breathe. Sit down, take several deep breaths, and relax. It might seem scary at first, but trust me, you will leap over much bigger hurdles in life than cutting out milk products. I’m not going to lie, for many people it can be difficult in the beginning. But with time, living dairy-free gets much, much, MUCH easier. You can ask anyone who’s been strictly dairy-free for over a year, and they will probably tell you that it’s become second nature. Most will even agree that they eat a wider variety of foods now than they did when they ate dairy. No joke. See the Big Picture. Read my brief article on the Six Simple Steps to Successfully Going Dairy-Free for Good. It is a summarized “how to” that puts changing your diet into perspective. This is how I’ve successfully implemented dietary changes over the years for myself and my family, and I think you will find these steps useful in your own transition. Gain Your Bearings. I’ve done all of the panicking, question asking, and information gathering for you, and compiled it into one big resource, Go Dairy Free: The Guide and Cookbook. 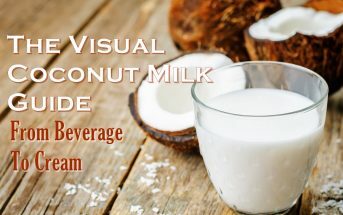 This book covers everything from “what is dairy?” to dairy substitutes, grocery shopping, nutrition issues, eating out, recipes (over 200 of them!) and beyond. I mean it. I packed in as much information as I could to help as many people as possible. I am here to support via email, and do my best to respond to every question (see the Ask Alisa Section for dozens of FAQ’s that I’ve posted here on the site), but PLEASE, do not email me with questions unless you have read Go Dairy Free. Due to the time involved, I can no longer specifically answer questions that are covered in my book. Believe it or not, at least 90% of the questions I receive are answered in this book – seriously, it has that much in it. For those who have Go Dairy Free the book, I’m happy to answer additional questions and help whenever possible. Yes, this book even comes with customer support. How cool is that? Go Dairy Free is available in paperback via Amazon, book stores, other online retailers, and as an ebook for all e-readers (ipad, kindle, sony, nook, pc, etc.) … so you can get it anywhere! For more information, you can see the Table of Contents, Recipe Listing, Book Details, and Reviews. Also, if you find yourself asking, what can I eat? Look to the Non-Dairy Product Lists. Over 5000 store-bought food listings, each with multiple varieties. The lists include everything we could find in the store, from baby food to cereal to frozen foods to dairy alternatives. Keep Learning and Enjoying. I didn’t stop with the book. Go Dairy Free the website has well over 5000 pages of content and growing, and it is ALL FREE for your viewing pleasure. Some things don’t really fit into a book, like product reviews and dining reviews (since both may change frequently). The website has these. 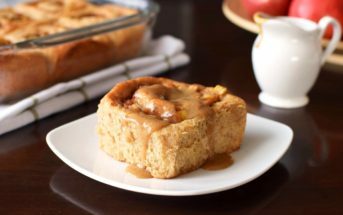 I add recipes, news, and helpful information nearly every, single, day. Yes, I’m a busy bee. Fortunately, I have lots of helpful recipe creators and great feedback from readers like you. Check it out and sign up for the daily email update of what’s new via the Email Subscription. You can also join in the conversation with thousands of other dairy-free people on the Go Dairy Free Facebook Page. I encourage interaction there! Of course, no single resource can be the end-all-be-all. There are many more awesome cookbooks and websites out there. I recommend my favorites throughout Go Dairy Free: The Guide and Cookbook. You can also see a ton of great books/cookbooks in the book review section on this site. I’m never hesitant to recommend other great resources, as there are many! Still Not Sure? Keep a Journal. Some of you might want to trial a milk-free diet, but are unsure on making the commitment. 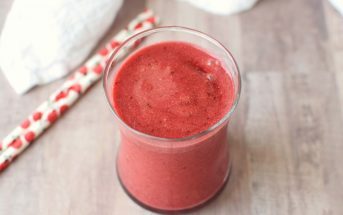 For you, I created the Dairy-Free Challenge and the Diet & Health Journal (a free pdf download). This is completely free, a gift from me to you, and a helpful way to track what you are eating and how it makes you feel. Thousands of people have successfully taken the Dairy-Free Challenge to assess if they have lactose intolerance, a milk allergy or sensitivity (consult a physician if a severe milk allergy is a possibility), or simply, if they feel better without dairy products. One Final Tip. If your goal is to be dairy-free (vs dairy-low), then be strict. Dairy products, particularly cheeses, are very addictive. Having “just a little” will bring the cravings (and possibly the symptoms) back in full force, particularly in the beginning. Do your best to avoid cheating, and your transition will be much easier. If you prefer one-on-one assistance, please feel free to email me about phone consultations. I also offer dairy-free living classes and in-person consultations for grocery shopping assistance, recipes, and menu planning. Aricle by Alisa Fleming, founder of GoDairyFree.org and author of the best-selling book, Go Dairy Free: The Guide and Cookbook for Milk Allergies, Lactose Intolerance, and Casein-Free Living. 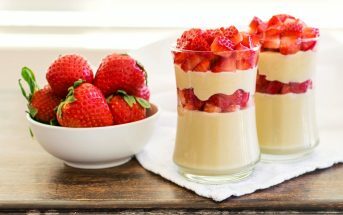 Alisa is also a freelance writer for several publications and a recipe creator for the natural food industry with an emphasis on dairy-free living and other special diets. While I am cooking or baking, is there a product that will neutralize the Lactose in milk products? You can try adding lactase, but I have no idea if that would work and in what form you would need to buy it. Lactase the digestive enzyme that digests lactose. It wouldn’t neutralize it, but is an enzyme that helps you to digest lactose. I have no idea how it would do when heated. I recently gave up meat still eat seafood ,and now im on to diary just want to look better and loose weight I already don’t drink milk but I love yougurt of course cheese just purchased your book I will get it Saturday is there any more advice you can give me , I have already seen the weight lost from no meat I’ve been doing for 2 months . Hi Kenya, you’ll find TONS of advice in the book. If you have questions after you’ve gotten it, let me know. 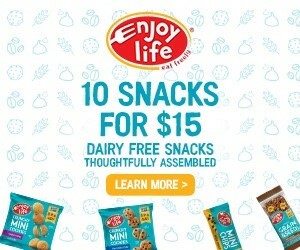 I was just diagnosed with a milk allergy and feel so much better after elimination of milk products from my diet but it has only been a few weeks and this has all seemed so daunting. Thank you for this website. It is informative and helpful and I have bookmarked it for sure! It has definitely made things seem less daunting and more doable. Thank you, thank you again! I’m so happy that I can help Rae. Good luck in your journey! Thank you so much for doing all of this work to create this website. I just recently decided to go dairy-free on a whim. I’m moving away from animal products. I started with not eating meat except or fish but then decided to go dairy free just a little while ago. After only 3 days, the chronic sinus headaches i was getting and the consistent phlegm in my throat all went away and haven’t come back. The aches and pains I had in my joints have gone as well. I have been very strict and reading labels constantly and am learning pretty quickly what products have dairy in them and what ones do not. I was amazed at how much dairy sneaks into our everyday lives! I was only going to give this a go for a month originally but I have decided that I want to stay dairy free for good. That’s great Rebecca! Thank you so much for sharing your own story and I’m so happy you’ve found a diet that is working for your health. BEFORE THE PROCEDURE TOOK ME OFF DAIRY, I DID NOT UNDERSTAND WHY UNTIL THE DAY OF THE SHOT . I ALREADY STARTED WITH THE ALMOND MILK, DAIRY FREE CHEESE, I LIKE IT SO FAR AND I HAVE DROOPED 10 POUNDS SINCE I STARTED. That is fabulous Regalo! I’m so happy to hear you are finding relief with this simple life change! Glad that I can help, too! Thank you for this website. My doc had me try a milk free diet because we think I have a milk allergy (wheexibg, watery eyes after drinking milk, runny nose, etc).Transitioning is hard, but ive been dairy free for a few months and feel so muvh better! This site is proving to be very helpful in helping me continue! So glad I can help Chandra!! I just was told that I am lactose intolerant. The doctor said absolutely no diary of any kind. I have always loved milk!! Since I was a kid. I am learning that milk is in everything just about. I thank you for this article as I was worried how to even start this new demanded change. I know I can do this but a little scaried because I know what will happen if I do eat the milk. I again thank you for the article. I will be visiting your site alot . Hi Alisa…I just found out i am lactose intolerant and feel very over whelm about all the foods i cant eat. I feel everything has dairy in it and finding it difficult to find things i can eat. Any suggestions? Also i love mac and cheese and it never bothered me before but now that i cant have it im sticking to not eating it is there any substitues i can use by chance? Hi Jennifer, did you read the post above? All of the answers to your questions are in the resources listed. Enjoy! Whare are your questions regarding eggs and corn? For the book, it is available for tablets. 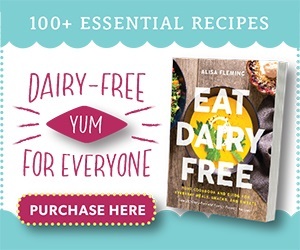 There are links to purchase for all e-readers at the bottom of this page: http://www.godairyfree.org/best-selling-dairy-free-cookbook or you can purchase the PDF version directly: http://www.godairyfree.org/no-dairy-product-lists.